Bzzagent has another new Canadian campaign! This one is for Pantene Pro V and includes a Free bottle of Pantene Pro V shampoo and conditioner! 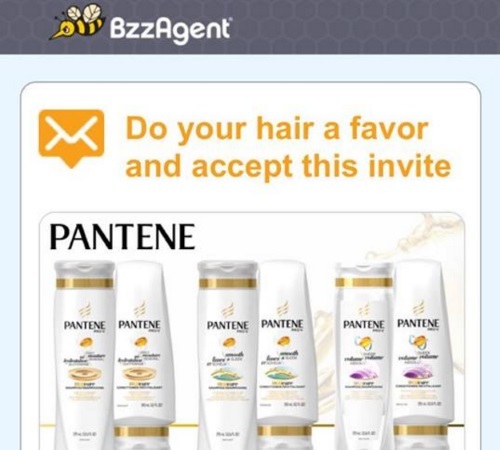 Check your emails and log into your Bzzagent account if you're invited to this campaign! Spots are limited. Whether or not you're chosen for campaigns depends on a lot of factors such as your Bzz Score and demographics. I haven't had a campaign in a while but to be honest I haven't been interested in the ones recently anyway. Let us know if you were chosen for this campaign on our Facebook Page here. Click here to go over to Bzzagent.